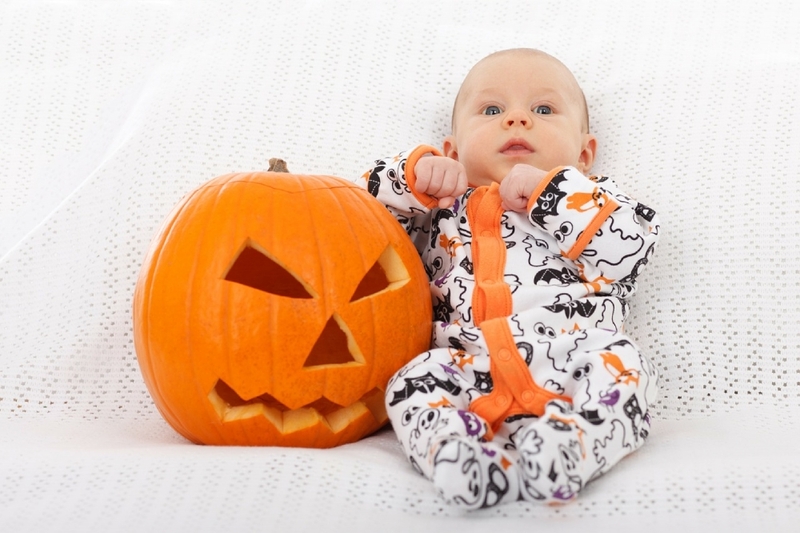 Fun Family Halloween Costume Ideas - ProudMummy.com the Web's Community for Mums. Halloween is coming round fast and we are all in costume mode right now. It has become really popular in recent years for us all in the UK to go all out for Halloween and plan to go to planned parties like they do in the USA, well because we all know it gets really cold and wet around the end of October and its just crap for the kids to walk around in trick or treating. Whilst looking around at cool Halloween Ideas for this year for the kids I have come across some amazing ones where all of the family can get involved, this AWESOME Ghostbusters Collection has been one of my favourites so far and I can bet you the winning prize that my son is going to want to dress up in this....... Shame that cute romper doesn't go up to 36 months as my little girl would have loved to be in that! 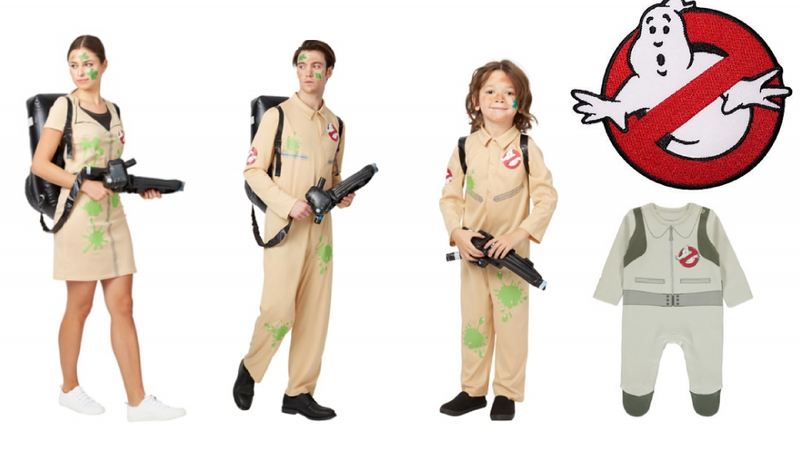 Its all at Asda George with prices starting at just £7 so for a family of 4 Mammy, Daddy, Kid and Baby it would cost you a great value of £67 which is pretty neat for these costume as it doesn't have to be used just for halloween. 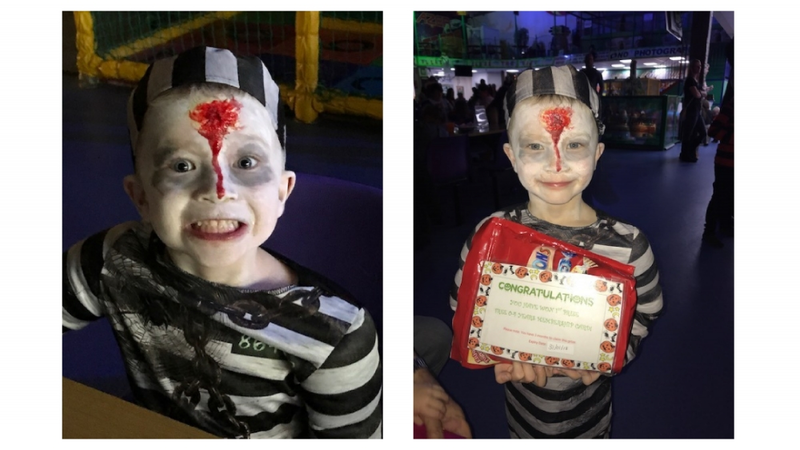 The rompers start at just £8, kids sets are £15 and the adult costumes are priced at £22, so the full family of 6 collection would set you back £90, fab investment if it means you win the top costume prize at the party though right?!??! 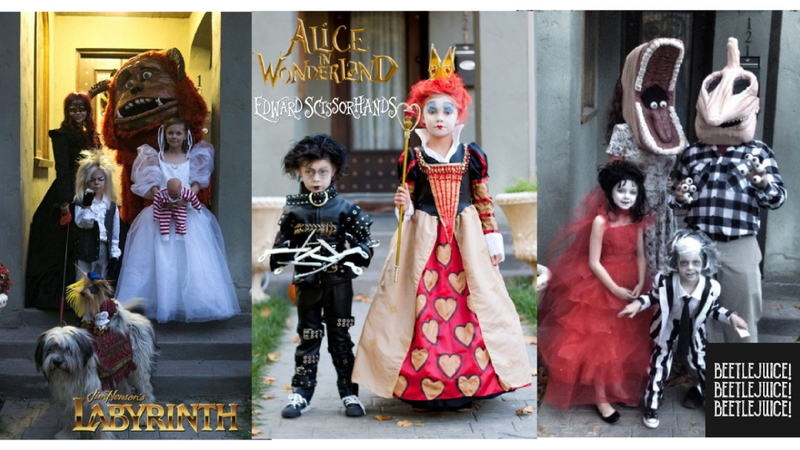 If money is no object for you and you want to go all out for halloween you may want to check out this Etsy Seller Deconstructress, she does the most amazing handmade costumes which includes Labrynth, Beetlejuice, Edward Scissorhands and Alice in Wonderland through the looking glass. I mean just check out how fabulous these costumes are, the detailing is exquisite. Prices start in the upper hundreds, with the full family sets setting you back by over £2000, but can you imagine faces when you walk in to the party looking as good as this! "This is my costume. I'm a homicidal maniac- they look just like everyone else"
Back to reality..... 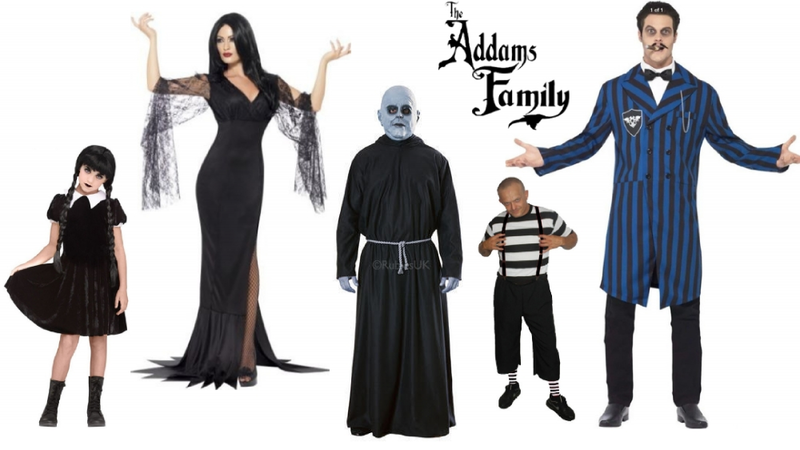 The Addams Family is a big favourite on Halloween and we found some amazing costumes from Amazon so its really cost effective for your family if you are shopping on a budget. We managed to grab all of these pieces for under £50. 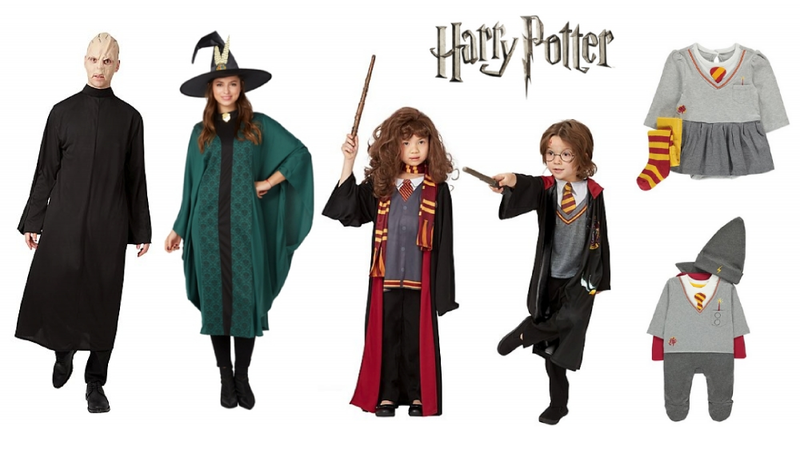 Happy Halloween shopping and we hope we have given you some great inspiration for family costumes.